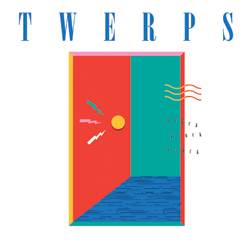 Last year, Aussie band Twerps quietly released a debut LP (quietly being the key word here). Now they're back with a new single - "Work It Out" - which follows on exactly where was left off. With slight hints of The Soft Pack's vocal tone, (albeit more refreshing and pop structured) Twerps provide gorgeously aloof, carefully woven jangling guitar lines and perfect 'sunny side up' melodies. Somewhat of a trademark then, if you will. "Work It Out" is backed up with the equal quality b-side "He's In Stock". You can grab a copy of the single (on wax) on October 23rd / Sep 18th digitally, via Underwater Peoples. Hear it below.